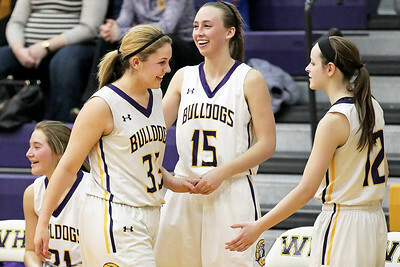 Candace H. Johnson-For Shaw Media Wauconda's Mallory Carver is greeted by Hayley Redmann and Hayley Sutherland as she comes off the court in the fourth quarter against Zion-Benton during the Class 4A first round regional game at Wauconda High School. 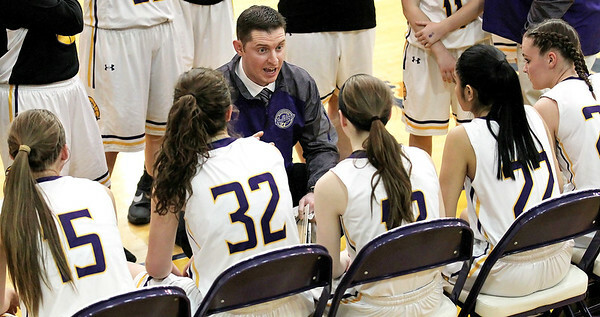 Candace H. Johnson-For Shaw Media Wauconda's Head Coach Greg Dorgan talks to his players during a time-out in the third quarter against Zion-Benton during the Class 4A first round regional game at Wauconda High School. 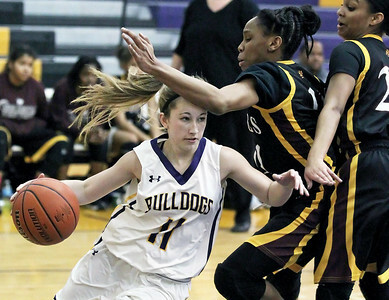 Candace H. Johnson-For Shaw Media Wauconda's Allie Tylka (on right) drives on Zion-Benton's Jayda Mills and Kayla Kinney in the fourth quarter during the Class 4A first round regional game at Wauconda High School. 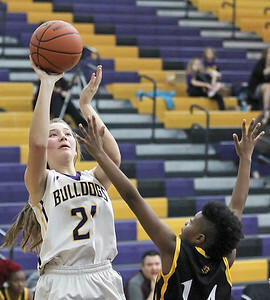 Candace H. Johnson-For Shaw Media Wauconda's Katherine Rossetti looks to pass against Zion-Benton in the second quarter during the Class 4A first round regional game at Wauconda High School. 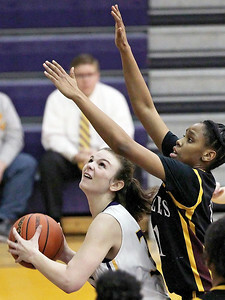 Candace H. Johnson-For Shaw Media Wauconda's Katherine Rossetti looks for a shot against Zion-Benton's Sariah Monk in the third quarter during the Class 4A first round regional game at Wauconda High School. 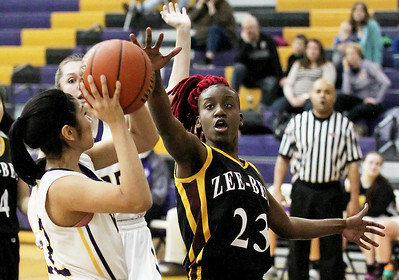 Candace H. Johnson-For Shaw Media Wauconda's Marina Zamudio looks to pass against Zion-Benton's Marshelle Hampton in the fourth quarter during the Class 4A first round regional game at Wauconda High School. Candace H. Johnson-For Shaw Media Wauconda's Michaela Kimbell drives past Zion-Benton's Sariah Monk and Trinity Walker in the second quarter during the Class 4A first round regional game at Wauconda High School. 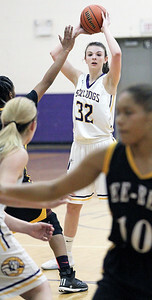 Candace H. Johnson-For Shaw Media Wauconda's Allie Tylka looks up for a shot against Zion-Benton's Jayda Mills in the second quarter during the Class 4A first round regional game at Wauconda High School. 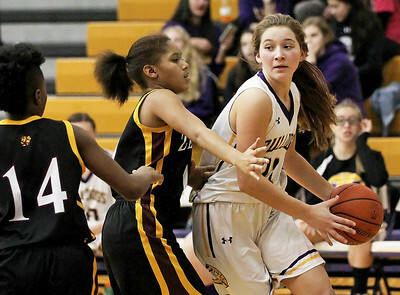 Wauconda's Marina Zamudio looks to pass against Zion-Benton's Marshelle Hampton in the fourth quarter during the Class 4A first round regional game at Wauconda High School.